In this essay, I discuss how Jean-Luc Nancy understands the nature or logic of philosophy in relation to literature by drawing on his early readings of Plato. Through an analysis of the notions of interpretation and dialogue, Nancy comes to understand this relationship in terms of shared difference, or partage. I argue that philosophy therefore operates according to a poetic logic that allows it to move between being and nonbeing. This movement, which Derrida calls play and Nancy understands as the act of being, is the object of philosophy. Its task is then the staging of play: showing how logos, meaning or being, displaces itself in establishing itself. Insofar as Nancy articulates this through readings of Plato, he is part of a larger trend within contemporary French thought that performs an overturning of Platonism by means of Plato. For Nancy, this first and foremost means welcoming back the poets after Socrates banished them. Deketelaere, N. (2018). The staging of play: Jean-Luc Nancy on the poetic logic of philosophy. Metodo. 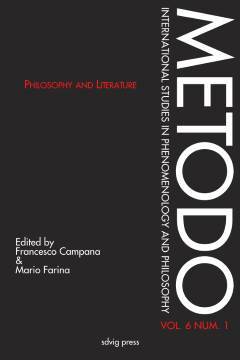 International Studies in Phenomenology and Philosophy 6 (1), pp. 177-209.